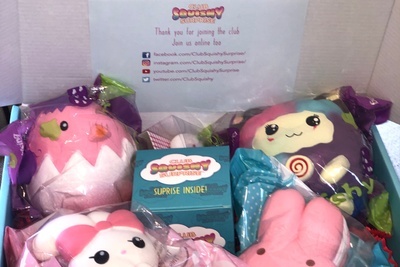 Enter your email address below to receive a notification when Club Squishy Surprise starts accepting new sign-ups! Enter your email address below to receive a notification when Club Squishy Surprise is accepting new sign-ups again. We ship within 1-4 business days of your order. After you subscribe, your box will ship out every 30 days. Club Squishy Surprise - Squish, Squeeze, Smile! 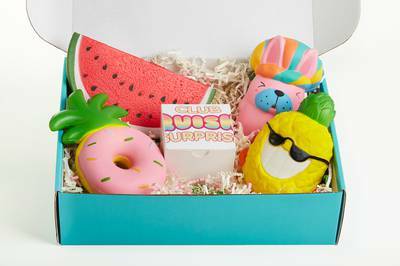 Club Squishy Surprise is the monthly subscription box that brings you new squishy toys to your door every month. 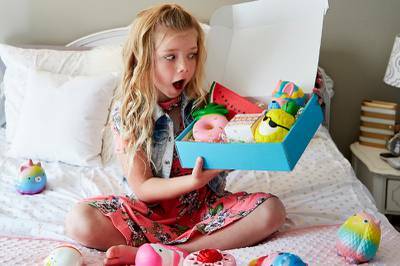 Squeeze, squish, and play with all your new 4-6 slow rising squishy and collect a special Surprise Mini Box. I emailed them because I can’t find how to cancel. Yet no response and yet I still got a box. I was going to get them only when my daughter earned them by doing homework. Now I’m truly done! Lame when you can’t turn them in or off by a simple yes or no or skip a month! My 8 year old daughter just received the December squishy box and we couldn’t be happier! Such a great variety and really nice quality squishys. They’re curated for the winter holiday and absolutely adorable!